Abundance : Seldom if ever on the reef flat zone and the rocky coast. 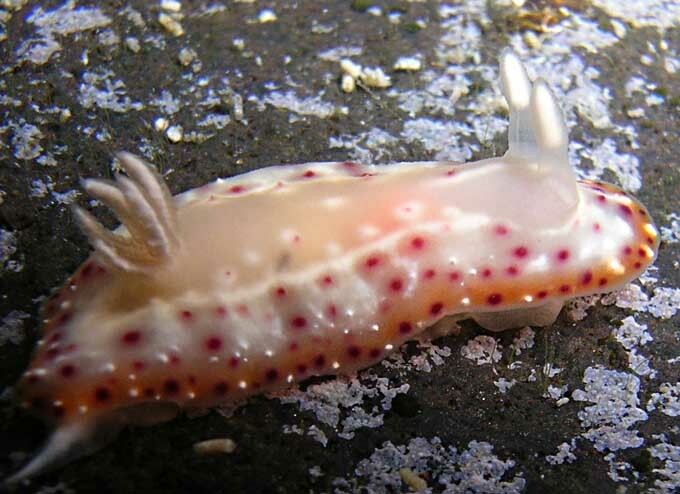 The rhinophores are a translucent straw colour with an opaque white core and the simple gills are similary coloured. - The mantle is translucent with an orange band just in front of the edge. 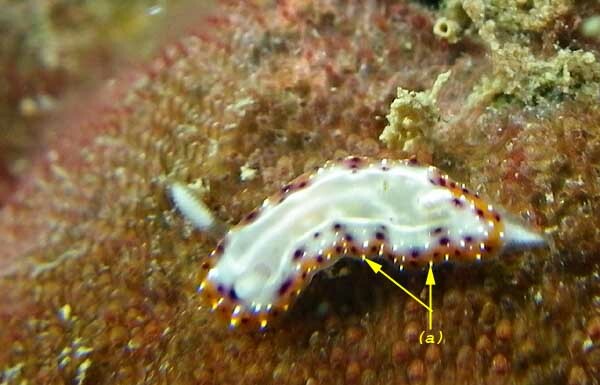 - There is a thin opaque white line which runs around the mantle and parallel to the edge, just encircling the rhinophores and gills pockets. - Sometimes the purple spots on the orange border are few or absent. The egg mass is pale yellow. 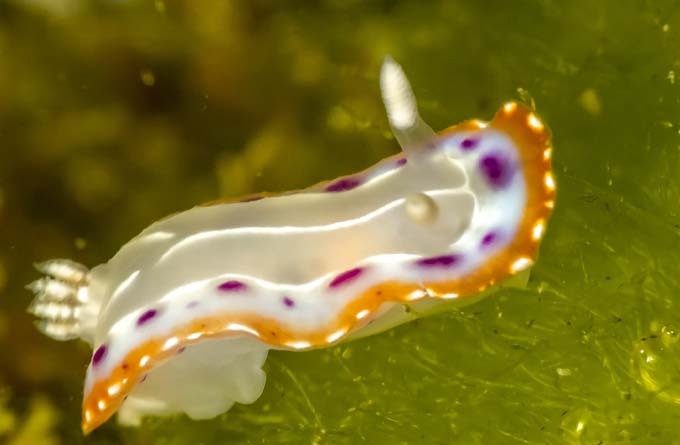 This species closely looks like Goniobranchus lekker, but G. lekker have opaque white spots on the dorsal surface of mantle (notum) and Goniobranchus decorus possesses a typical colour form with white Y-shaped pattern on the notum or purple spots in centre of back. 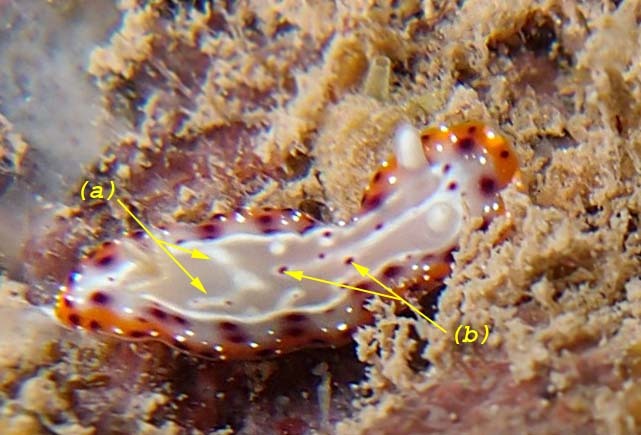 Reunion, Etang salé on the rocky coast, less 1 m, 23 January 2016 size : 10 to 15 mm.